As we reported in February, students who are exposed to the idea that free will is an illusion are more likely to cheat on tests. Not surprisingly, the notion that our actions aren&rsquo;t truly controlled by our conscious mind seems to undermine our sense of personal responsibility. Well, our ethical foundations eroded a bit more this week. Research by the Max Planck Institute for Human Cognitive and Brain Sciences in Leipzig, Germany, provides additional evidence that our conscious minds are merely keeping up with (and, presumably, rationalizing) decisions our unconscious minds have already made. It is published in the April 13 issue of the journal Nature Neuroscience. Test subjects were asked to make a simple choice — whether to push a button with their right or left hand — as researchers at the institute observed their brain activity. The scientists found they could predict which hand the subjects would use a full seven seconds before they made the conscious decision to do so. The seven-second gap is much longer than that observed by previous brain researchers, and it would seem to suggest the conscious mind is truly playing catch-up. But there may be an alternative explanation, according to lead researcher John-Dylan Haynes. In other words, our conscious minds still may have final veto power. Let us hope. Try not to pass by a gym on your way to lunch — at least if there are signs in the window promoting the benefits of exercise. You may end up eating more. 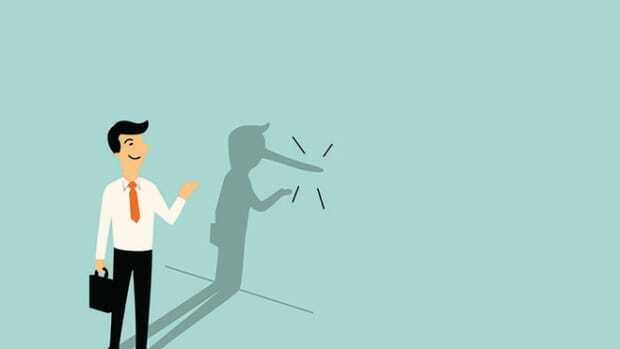 New research suggests that if we could push aside the biases of our conscious minds, we’d be better at spotting dishonesty.